A beautiful gift edition of the beloved classic about two orphan sisters and their newfound love of theater and dance. After losing their mother, Rachel and her adopted sister Hilary move in with their aunt, Cora Wintle. Cora runs a dancing school in London, and she thinks that Hilary would be perfect for her dancing troupe, Wintle's Little Wonders! The only problem is that Hilary might be as good as Cora's own precious daughter, Dulcie. Still, Cora is determined to make sulky Rachel and sprightly Hilary members of her dance troupe. But Rachel doesn't want to be a Little Wonder! She can't dance and feels silly in her the ruffly costume. Nothing seems to be going as planned, until Rachel discovers her talent for acting. . . . This classic children's book is perfect for kids who dream of being on stage, whether it be dancing or acting. 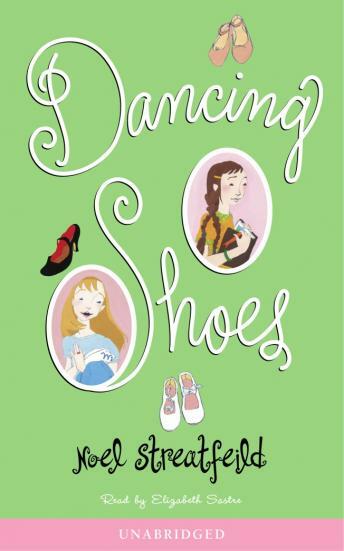 And don't miss the other classic Noel Streatfeild titles, Ballet Shoes, Skating Shoes, and Theater Shoes!